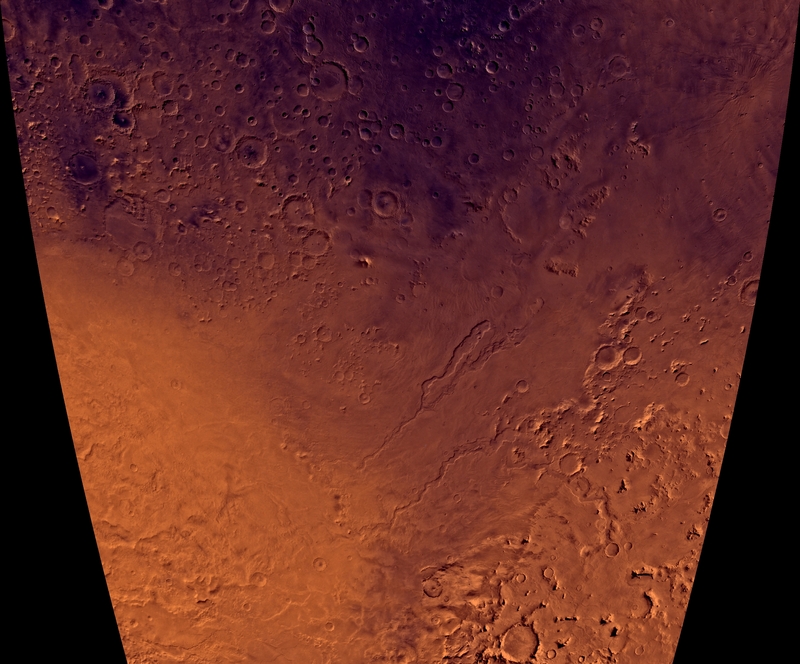 Thank you to: NASA/MALIN and USGS for use of these original Mars images. Here is a large full color map from the 1975 Viking mission of the area where the space base can be found. 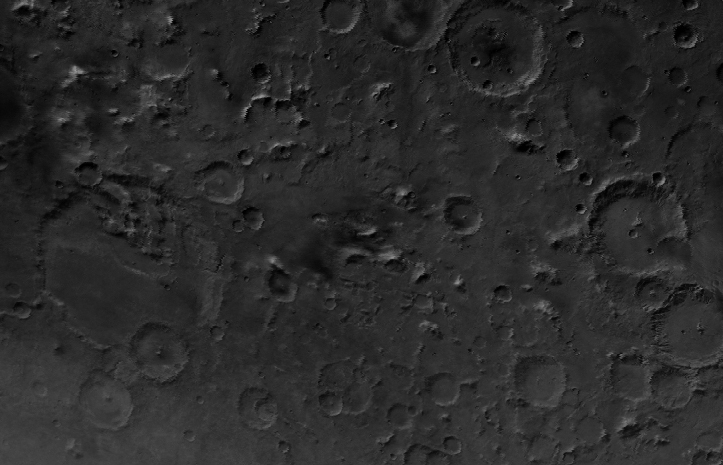 Here is a close-up in grey scale of the region with the "Space Base". Here's the area of geometry that initially drew my atttention to the space base. Notice the square shapes, wall-like structures, and what appears to be a three sided pyramid with shattered tip. 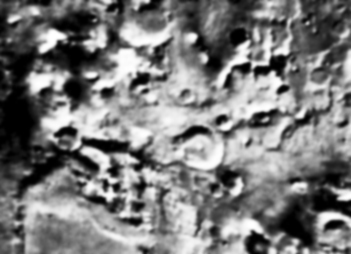 But a closer examination of the region introduced an even larger Martian anomaly. First, take note of the 4-sided pyramidal structure in the top left. 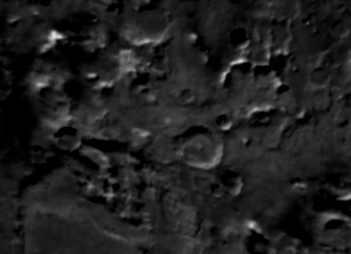 Second, notice the strange hexagonal geometry of the crater and the artificial look of the crater's "innards." Here is the crater brightened. Could this "crater" have been rendered specifically for the purpose of maintaining a Mars base? living space, connections between units, as well as guardposts for monitoring the local terrain. Look at the geometry and depth of the shadows. Besides just the space base this area seems to host many other strange anomalies. Was someone already on Mars in 1975 when Viking took this image? Huge geometrically arranged rocks that form a space base. Image size = 2048 rows by 2288 columns. Resolution = 64.0000 pixels per degree (true at the equator). Scale = 0.9254 kilometers per pixel (true at the equator). Top Latitude = -14 degrees south. Bottom Latitude = 46.0 degrees south. Left Longitude = -55.8 (304.2) degrees west.